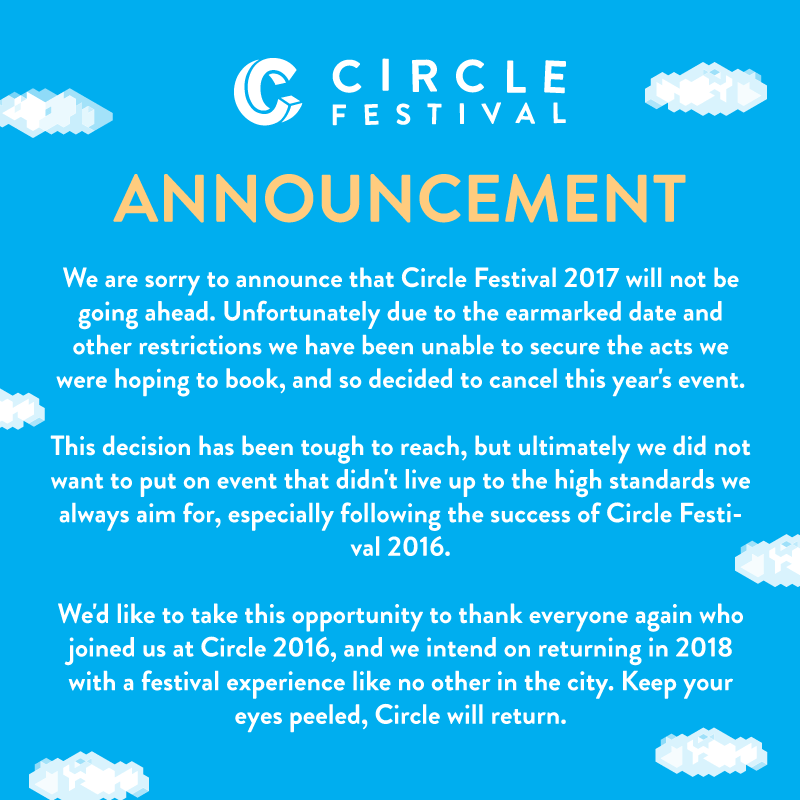 After months of silence, Circle Festival have announced that their 2017 edition has been cancelled. Only in its second year, Circle Festival debuted at the Don Valley Bowl in October 2016, with over 3 stages of electronic music including Andy C, Katy B and Wiley and was due to take place on Saturday September 30th. The 10,000+ capacity festival, created by a collaboration between Sheffield’s promoters including Sunken, FearFest, Session, Creation and many more, have issued this statement. Exposed Magazine have approached Circle for comment.